You've downloaded Update 1.0 and it's time to start playing, but performance issues stop you from enjoying the game? We're here to help you out. No matter your setup, here are some general tips on how to get your system up and running again. Both Nvidia, AMD, and Intel regularly update drivers for their respective cards. The latest drivers will usually improve performance, especially for the newest games. Head to their websites to find the latest version. Make sure to match the drivers to your operating system and your specific model of graphics card. If you’re not sure which card you have, both sites offer an automatic detection tool to get you the right package. Start by running auto-detect system to define the golden medium in terms of FPS and the quality of visuals for your rig. The biggest gains in frames per second come from tweaking and compromising on graphics settings. 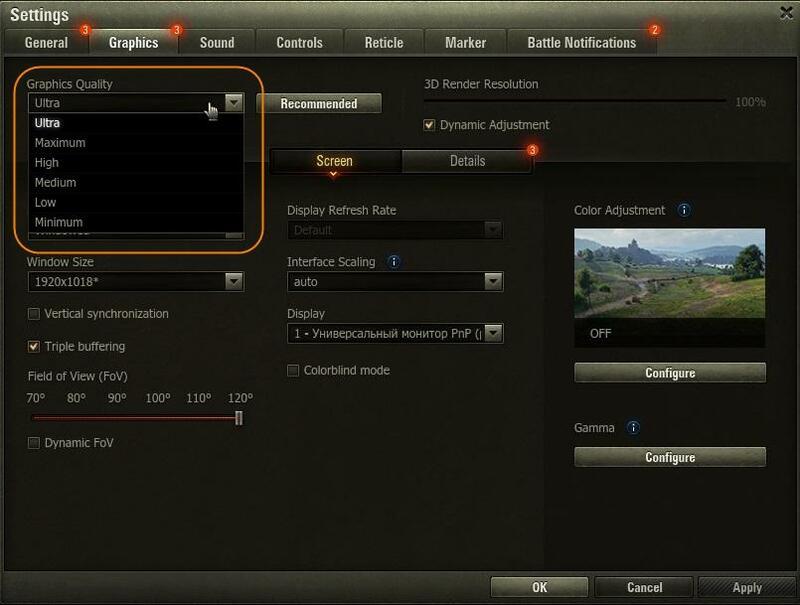 If you want to make any other adjustments to the suggested preset option, go through the complete guide on settings for detailed explanation on each settings option and how it contributes to the game’s looks. The performance may increase significantly and you will be able to additionally adjust the graphics focusing on the basic settings that are after switching. 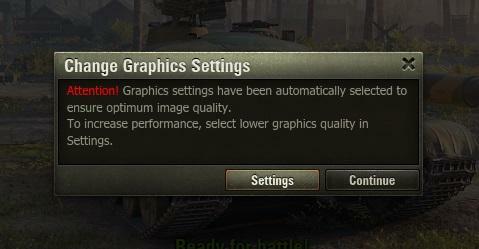 If this does not help, try lowering the screen resolution. 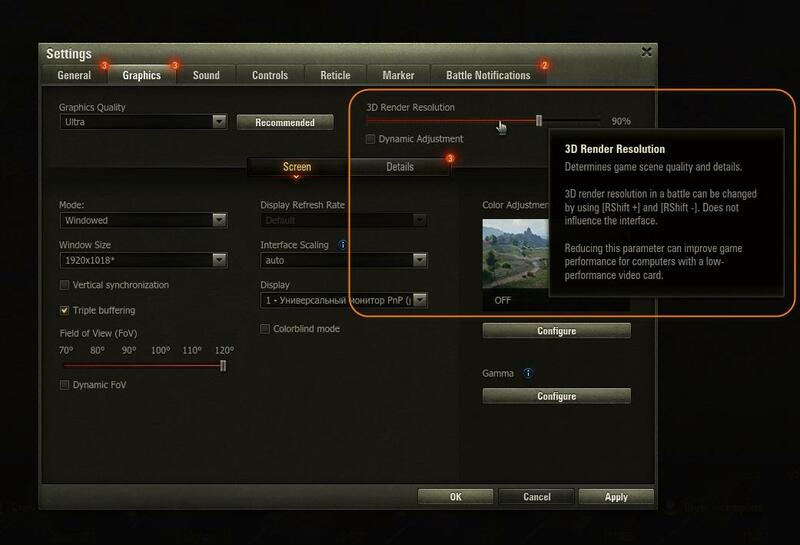 We do not recommend to lower these settings if the client’s performance allows you to play comfortably, because this will significantly increase the framerate but the picture quality will be significantly lower. If you’ve tried everything and are still experiencing technical problems, report it to us by creating a ticket to Player Support. Describe the problem and list the actions that you have already taken to solve it. If the gaming client has been successfully updated to the current version, but there were difficulties with its launch or during the game, attach the WGCheck program report to the ticket; it will help solve the problem as soon as possible. Before creating a ticket, try launching the game in safe mode, without third-party mods. If the issue remains, go ahead and report it to us. Head HERE to learn how to start it in safe mode. We’re working on a special program to improve game performance at minimum settings. It’s called Config Tuner and lets you further decrease the quality of the image and improve game performance, if the performance is critical and doesn’t allow you to start the client with an acceptable framerate at minimum settings.